Bigonias Plants: The fibous-rooted semperfloren varieties are superb, with a neat, rounded habit, glossy green or dark bronze foliage, and red, white, or pink flowers all summer. Tuberous begonias are much large (to 2 ft/60cm) and more flamboyant, with large double flowers in startlingly electric colors; in our opinion, the upright varieties are much better than the trailing forms. Begonias will grow in sun or shade. 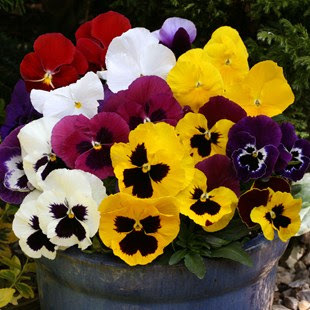 Pansy Plant: Winter and spring flowering pansies are best; don't bother with the summer varieties, which suffer badly if you forget to water them. Available in a superb range of colors, they make striking displays. Among the most charming are the tiny Princess hybrids violas, best grown in boxes and baskets close to the house where you can enjoy their cheerful faces in close-up. 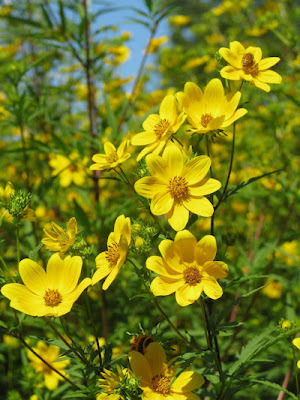 Bidens Plants: A wonderfully vigorous trailing plant with ferny leaves and masses of starry gold flowers through summer. It can become slightly untidy and may need occasional trimming to keep it under control. One of its many virtues is that it's remarkably tough and can withstand being dried out for a few days - once watered it will start growing again as if nothing had happened. Best in a sunny spot. 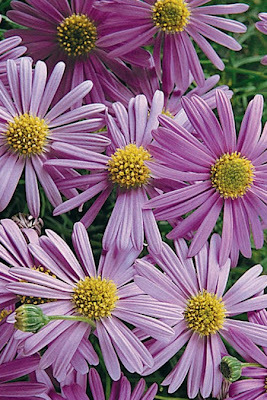 Brachycome Plant (Swan river daisy): This bushy 10 in/25cm plant is a real gem in a sunny, sheltered spot, making mounds of finely cut leaves studded with tiny daisy flowers. The best of the colors is the pale purple, almost blue, shade - the pinks and whites can look somewhat rather washed out in sun. In addition to being extremely pretty, the flowers are invaluable in hanging baskets because they close up when thirsty a useful reminder to water. 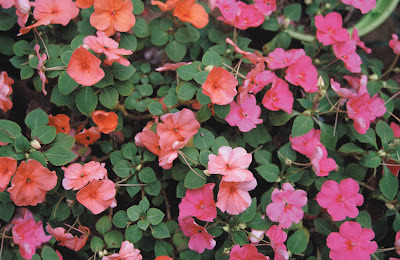 Impatiens Plant: These put on a wonderful display whatever the weather. 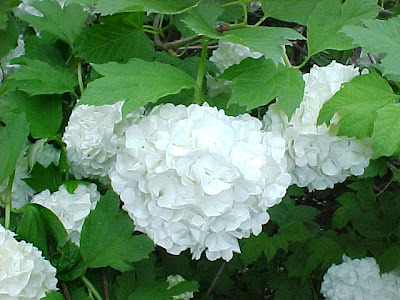 They flower from early summer to first frosts, and are available in a range of colors. Look for the 'Super Elfin' series, which are more compact and therefore better suited to baskets and boxes. Best in light shade, they can also tolerate a bit of neglect. Geranium Plant (Pelargonium): This classic for sunny locations looks superb all summer. Use the upright varieties in the center of the basket or back of the window box and plant trailing forms at the edge. 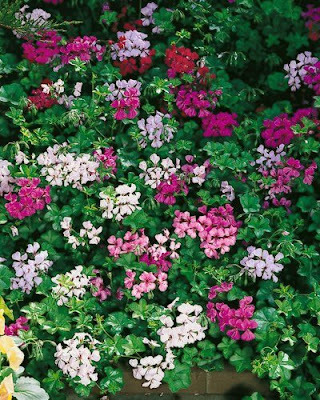 For a change from the globelike flower heads, try the wispier ivy-leaved geraniums - they will spill over the sides of baskets and window boxes with colorful, airy sprays of flowers that are delicately veined. Geraniums are remarkably tough and soon bounce back if you forget to water them. 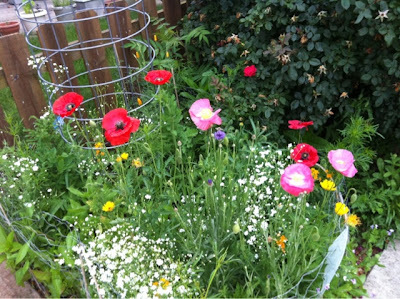 But you will need to deadhead religiously to ensure a floral display. 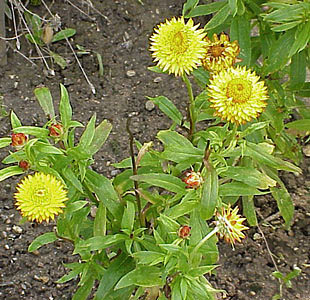 Helichrysum Petiolare Plant: These spreading, trailing foliage plants add invaluable structure as well as attractive leaf color to planting combinations. The soft, felted leaves come in a variety of colors, but the silvery gray is the best known (the small-leaved compact form is very good). Yellow and variegated helichrysums are also excellent. Best in sunny locations, they are drought tolerant. Petunia Plant: Best in sunny locations, pentunias will provide a fine display, except in the wettest summers. The 'Surfinia' hybrids are particularly splendid, but incredibly vigorous. Three plants will fill a 14 in/35cm basket on their own and trail as much as 4 ft/1.2m, spreading out almost as wide. The new compact 'Junior' types are much less domineering, however. All petunias need to be deadheaded regularly to ensure continuous flowering. 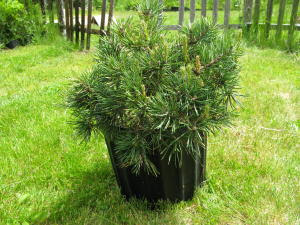 Small Evergreen Plant: Widely available in garden centers, these are invaluable for winter and spring displays. Dwarf or slow growing conifers, golden leaved Euonymus fortunei 'Emerald 'n' Gold' or white variegated E.f. 'Silver Queen', and small skimmias make good centerpieces and can be planted in the garden when containers are needed for summer bedding. Winter flowering heathers, as well as those with colorful foliage, provide an excellent contrast in the foreground, and small variegated ivies can be planted around the edges. Verbena Plant: Available in trailing, upright, and dwarf form, spicily scented verbenas flower from early summer until first frost. They are lovely, dainty plants that really earn their keep, offering a continuous succession of pincushion clusters of flowers. Some can be prone to mildew, but among the resistant cultivars are soft pink 'Silver Anne', and cerise pink 'Sissinghurst'.